We update iOS in three different ways. An iOS update (6, 7) must be done in order to close all vulnerabilities and holes in the operating system, which will ensure the security of your data. Greetings to you, dear lovers and happy owners of tablet computers. In today's lesson, I will tell you how to update iOS, and I will tell you how it can be done in three ways. 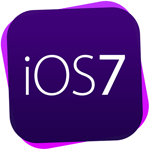 Which way to choose is up to you, and the result of using any of these methods will be the same; if you do everything correctly, your iOS operating system (6, 7) will be successfully updated to the latest version (at the time of writing this material the latest version of 7). It would be correct to think that such a popular mobile operating system like iOS (6, 7) is regularly updated. With each new version of the system, the “bugs” of the previous version are eliminated, various holes and vulnerabilities that could threaten the security of your device (iPhone [2,3,4,5], iPad) and your data stored on it are also closed, the design of the system is rarely updated (the 7 version of the system brought us not only the updated system code, but also a nice design). Therefore, timely updating is, in most cases, a mandatory procedure. If you have any of the gadgets Apple (iPhone [2,3,4,5], iPad or iPod), then you do not care, sooner or later, it will come to mind that the system needs to be updated. You could also hear the word “firmware”, in fact, this is the same as updating the system, although with some differences. Firmware is a change in the operating system version of the device (iPhone [2,3,4,5], iPad), both to an earlier version and to a later version.. If you are an avid gamer and constantly play mobile games, then you also need to update the operating system. Game developers always make their new game compatible with the latest version of iOS, and whether the game will support the old version is already a controversial issue. So, if you want to always play new games, you just need to update the system on your gadget (iPhone [2,3,4,5], iPad). IOS operating system update (6, 7) via OS file. This method is practically no different from the previous one. The main difference between this method and the previous one is that you have to download the file with the operating system in advance. The advantage of this method is that to update the system you do not need an internet connection, you just need to have a file with the system (you can download it in another place, for example, from a friend). After you have completed all the suggested actions, the device will start searching for iOS updates (6,7), if updates are found, you will be prompted to upgrade. In the iTunes window that opens, information about your gadget will appear. Find and click the “Update” button. 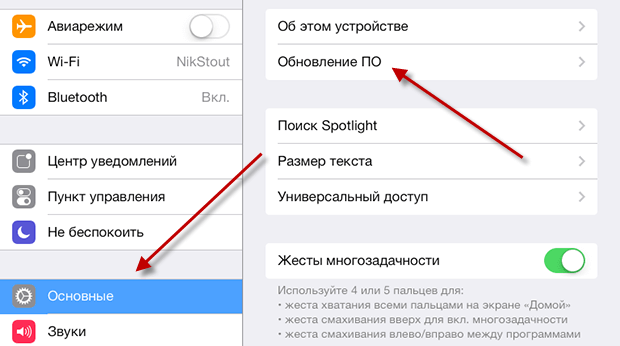 If everything is done correctly, then iTunes will start searching and downloading the new version of iOS (6, 7). A window will open in which you need to select the downloaded OS and click the open button. If everything is correct, the system will be automatically installed. Tell me please, I click on the update, and he writes: "you have the newest software 5.1.1", but the game does not download. How to be? Appsgames⟾IOS tutorials⟾We update iOS in three different ways.